Tanja Tatomirovic, We do not have to take everything seriously in order to do the job well. Microsoft and Let´s Do It! World are working together towards waste free Earth with civic-led mass movement, organizing millions of people out to clean waste so the waste issue could be tackled and solved once and for all. Waste is a worldwide problem. There are countless stories of the negative impacts of trash around the world. In short, Let’s Do It! World cares about trash because the world can’t afford not to. With the help of crowd-sourced data, new technological platforms and innovative technological solutions like Azure, Let’s Do It! World is mapping waste around the world to pick up and sort it while preparing World Waste Index and World Waste Platform. So all data about trash will be brought together on one platform and visualized in a very simple manner. The waste database helps the world to grasp the gravity of the waste problem and fight against trash blindness. Trash blindness is when we have millions of tons of resources leaking out of our economy and nobody does anything about it. Microsoft CEE Philanthropies director Timos Platsas finds that technology can be a powerful tool in helping solve some of the world’s most challenging issues such as waste management. It enables non-profit organizations to become more productive, more innovative and ultimately to scale up their social impact. “At Microsoft we are very proud that we are empowering non-profit organizations such as Let’s Do It! World to advance their mission through digital transformation, through trusted technology that we are offering and — of course — to contribute and connect people from all around the world in order to create a planet which is going to be waste free,” said Platsas. Kadri Maripuu, Head of Let´s Do It! World Mapping Team says one of the main focuses is to reduce trash blindness. “Let’s Do It foundation’s main goal is to unite people through collaboration, empowerment, and to reduce trash blindness. Let’s Do It! World is currently operating in 128 countries. This means that we all need to be in the same information flow while assembling a plan to keep the planet clean and technology is actually the only way to do it, so we use Azure, Office365 and Skype for that,” said Maripuu. Let’s Do It! World is a civic-led mass movement that began in Estonia in 2008 when 50,000 people united together to clean up the entire country in just five hours. Since then, Let’s Do It! has spread this model – one country in one day – around the world. 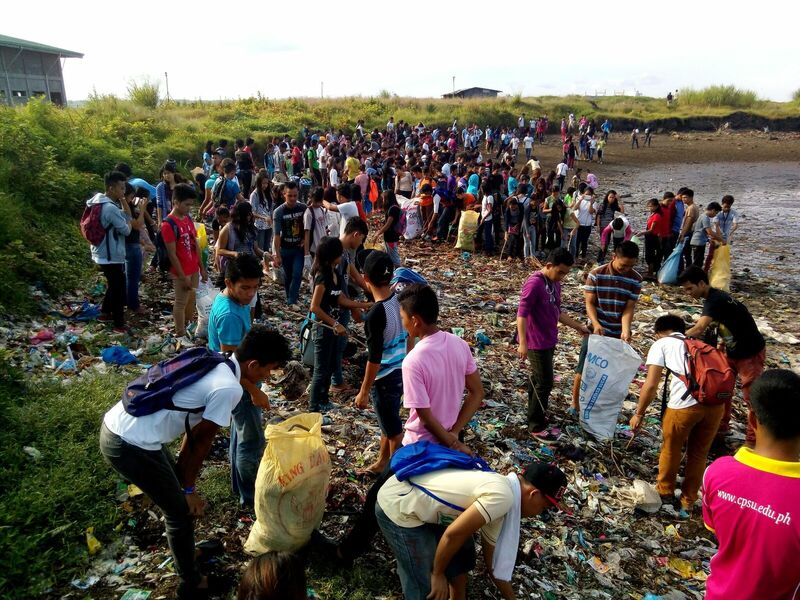 To date, nearly 130 countries and 20 million people have joined to clean up illegal waste. In 2018 the movement was focused on the ambitious goal of cleaning up the world from waste in one massive effort to get 150 countries on board for one day of extraordinary action and cooperation. Successful as it was, it engaged 5% of the world’s population. This number represents the estimated amount of people necessary to create lasting change and go beyond just one day of incredible activism. Microsoft is committed to delivering technology solutions that are accessible and affordable for non-profits everywhere. They believe technology can be a powerful force for social good, but we know technology alone won’t solve the world’s challenges. That’s why Microsoft partners closely with governments, nonprofits, and the private sector to foster collective action.